It may happen that members of the Ryerson community challenge the validity, truth, scholarship, politics, morality etc. of materials in the library, and request their removal from the library or relegation to a special area, or reclassification of subject. Any challenges to or complaints about the collection should first be brought to the attention of the appropriate Subject Librarian. The following procedures have been adopted for the handling of formal challenges to library materials. Formal challenges to the library collection shall be made in writing to the Chief Librarian on the Request for Reconsideration of Library Materials form. Bibliographic Information; namely, the author, title, publisher, publication date, and selected reference to the text pertaining to the challenge. Personal information: namely, the challenger’s name, area of specialization, expertise, and accomplishments in the field under question, if appropriate. A detailed analysis or critique of the holding being challenged. As soon as possible, the Chief Librarian will notify the Library Council that a challenge has been received. The Chief Librarian will request that the librarian(s) concerned in the specific area investigate and prepare a report on the status of the collection in the area of the challenge. Once brought to the attention of the Library Council, the challenge will be reviewed by a sub-committee of the Library Council struck for this purpose. As deemed appropriate, consult experts in the subject field (faculty or others) as part of the process. Invite the challenger to meet and consult with them, to ensure that the nature of the challenge is fully understood. Report on the Library holdings in the subject area of the challenge. Determine how the challenged material relates to the Ryerson selection policy and the extent to which a book is the subject of legal injunctions. That the book be sent to the Library of Congress for reclassification. That if the holding is subject to legal judgements it be housed in an area of limited access and be made available on request. That in order to promote serious scholarship at Ryerson, the Library strengthen its holdings in the subject area of the challenge to ensure a balanced collection. 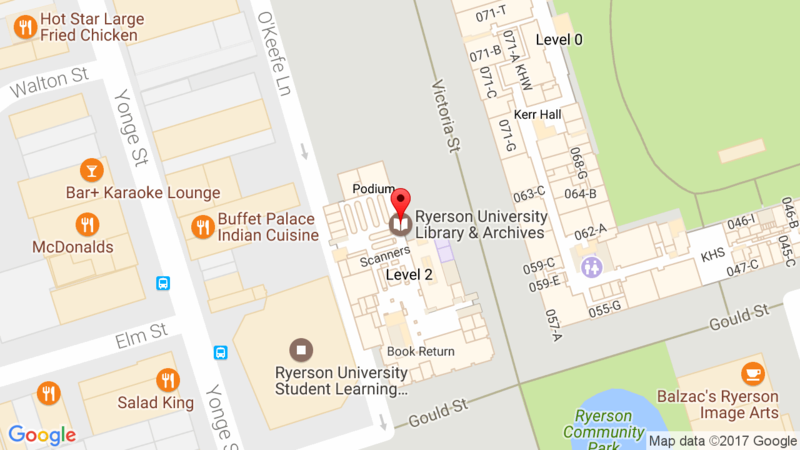 That where deemed appropriate, the Ryerson community be advised of the issues raised by the challenge through the Library Council Report to Ryerson Senate. That where deemed appropriate, the Library participate in a program of public education. The Library Council would receive a report from the sub- committee and its recommendations. The Library Council would then discuss implementation of the recommendations from the Library’s perspective. The Chief Librarian would formally convey the Library Council decisions to the challenger. Should the challenger not be satisfied with the decisions of the Library Council, he/she could then appeal to Senate and an ad-hoc committee could be struck as outlined in the Cook Report.